This English translation is provided for your reference only, and is not legally binding. Only a Korean version of this Policy is legally binding. 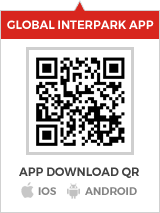 Interpark Corporation (hereinafter referred to as the "Company") prepared the following policy to safely protect personal information of the User who use a single ID service used both for http://globalinterpark.com (Interpark Global Shopping Service) and http://ticket.interpark.com/GLOBAL (Interpark Ticket Global Services) (hereinafter referred to as the "Services") provided by the Company. Please note that this Policy may be inevitably amended pursuant to changes to applicable laws or the Company's polices, which shall be promptly notified on the website notice (or through separate notification). 1. All personal information collected by Interpark and categorized as below are processed for the purpose of protection of rights of the User and provision of better services. We promise that we will ask for prior consent of the User if such purposes are changed or added. Personal information is collected and used for the following purposes: confirmation of Users' intent to join membership, verification of his/her identity for the use of Services, management of membership, prevention of illegal use of the Services, notification and notice to Users, and record keeping for dispute resolution. Personal information is collected and used for the following purposes: introduction of new Services (products) and customized Services, events and provision of opportunity to participate therein, confirmation of validity of the Services, collection of data regarding Member's use of the Services and access frequency. - Items to be collected: e-mail, phone number, ,SNS, etc. * However, for international shipping, in accordance with customs law, any resident registration number (or legal alien registration number, personal identification number) may be additionally collected and provided to relevant government authorities. - Payment information: Depending on payment gateway companies and payment methods, collection of the following information may be requested. A. To the extent of the retention and usage period consented by subjects of information or in accordance with under relevant laws such as commercial law and the Act on the Consumer Protection in the Electronic Commerce Transactions, Etc, the Company processes and retains personal information. - Reason for Retention: the Act on the Consumer Protection in the Electronic Commerce Transactions, Etc. (2) Records on payment settlement and supply of goods, etc. 4. To provide Users with better services or comply with its obligations required by relevant laws, personal information retained by the Company may be provided to any third parties. A. The Company uses personal information within the scope notified in Collection/Use of Personal Information, and shall not use such information beyond the purpose of collection or provide it to any third parties without prior consent from customers. B. If placement of an order or payment is made for a transaction through services provided by the Company, the Company may provide the Seller with relevant information to facilitate the transaction such as communication and delivery. The Sellers on the website List of the Sellers Verification of intent to offer, performance of transaction, delivery, customer service, AS, etc Name, ID, address, phone number, mobile phone number, order information, recipient information (name, phone number, mobile phone number, address) Destroyed immediately when provision of products or services is completed to the extent that such information is retained for the duration required by relevant laws. C. The Company will use personal information within the scope notified to the subjects of such information, and shall not use or disclose to others such information beyond such scope. However, if required by law, such information may be provided to the law enforcement, administrative agency, or any third parties pursuant to the procedures and methods prescribed by applicable laws and regulations without the consent of the subjects. C. Any change to such assignees or the contents entrusted shall be disclosed without delay in accordance with this Privacy Protection Policy. A. If Users need to check or correct their personal information, they may do so themselves at any time by using my page → my information →check information → correction menu. B. Using the membership withdrawal menu on the homepage at any time, Users may withdraw from membership (or withdraw their consent). C. Users, if not agreeing to the Company's handling of personal information, may refuse the consent or request the cancellation of membership (or withdrawal from membership), which may restrict use of Services completely or partially. (Subscription service users may withdraw consent by using blocking function at the bottom of the email received). D. If Users request the correction of any mistake in personal information, the relevant personal information shall not be used or provided until correction is completed. In the event that any wrong personal information is already provided to a third party, the result of correction thereof shall be immediately notified to such third party to make such correction. Personal information of which purpose of collection/retention is achieved is transmitted to a separate database (separate documentation for papers containing such information) under its internal policy and other applicable laws, and immediately after the lapse of the prescribed time, shall be destroyed. Such personal information transferred to the database shall not be used beyond the purpose consented by each of you or for other purposes unless required by laws. 1) Personal information stored in the form of an electronic file shall be deleted by a technical method preventing reproduction thereof. 2) Personal information printed on papers shall be shredded or incinerated. Cookie , a small text file which the web server sends to a User's computers, is stored in the hard disk of the User's computer. Therefore, you may choose installation and collection of cookie voluntarily and refuse such collection. B. How can we refuse cookie? * Please note that, when a User refuses to install cookie, there may be any inconvenience in use of or difficulty in provision of Services. 9. The Company takes technical, administrative, and physical measures necessary for secure retention of personal information. Employees who have access to personal information are designated and we manage the minimum number of such employees engaging in management of personal information. The Company makes its best efforts to protect personal information through continuous implementation of education programs for personal information protection. We hire employees specifically assigned to internal affairs department for securing technical and administrative protection measures to handle personal information securely, and internally perform routine inspections to check whether our personal information managers are in compliance with the internal Policy and relevant laws. For the purpose of secure handling of personal information, internal management plans have been established and implemented. Your personal information is encrypted, kept and managed in accordance with the standard prescribed by relevant laws, and separate security functions such as encryption of files and transmitted data are used. The Company installs security programs to prevent leakage of and damages to personal information by hacking or computer virus, performs routine maintenance checks, sets up relevant systems in the area restricted to be accessed from outside, and observes and blocks any intrusion physically and technically. We take measures necessary to restrict access to personal information through grant, change, and renewal of authorization to have access to database handling personal information, and controls unauthorized access from outside by using intrusion prevention system. Records on access to personal information management system pursuant to relevant laws are kept and managed at least for six months and securely stored to prevent forgery, theft or loss thereof. Documents and supplemental storage medium containing personal information are kept in a safe place equipped with a locking device. Separate physical storage spaces to keep personal information are provided and procedures for the restriction of any access thereto have been established and managed. 10. To protect personal information safely, the Company appoints a person responsible in charge of management of personal information. B. Users may report any complaint incurred in relation to the use of our services, such as all inquiries about personal information protection, complaint handling, damage reliefs to the person in charge of management of personal information and the customer support center, and the Company will respond to and handle such inquiries without delay. C. If any other reporting or counseling is required in relation to infringement of personal information, please contact the following institutions for inquiry. This Privacy Protection Policy applies from the effective date, and any addition, deletion, or revision of this Policy shall not notified in advance through announcement at least seven (7) days prior to the effective date thereof; provided, however, that any material changes to Users' rights, such as collection and use of personal information, provision of personal information to a third party, shall be notified in advance at least thirty (30) days prior to the effective date thereof.